Amrood Ki Chutney | Guava Chutney is yummylicious chutney for all. Amrood Ki Chutney | Guava Chutney is a unique chutney which is spicy and tangy both. This is a very simple recipe and requires only 5 minutes to get ready. As we know chutney is the most lovable side in every Indian household. This chutney is not only tasty but healthy too. Guava is rich in fibres that cleanses the stomach. Moreover, it improves heart health and skin. So, try to make this chutney with lots of nutrition and enjoy with your family. 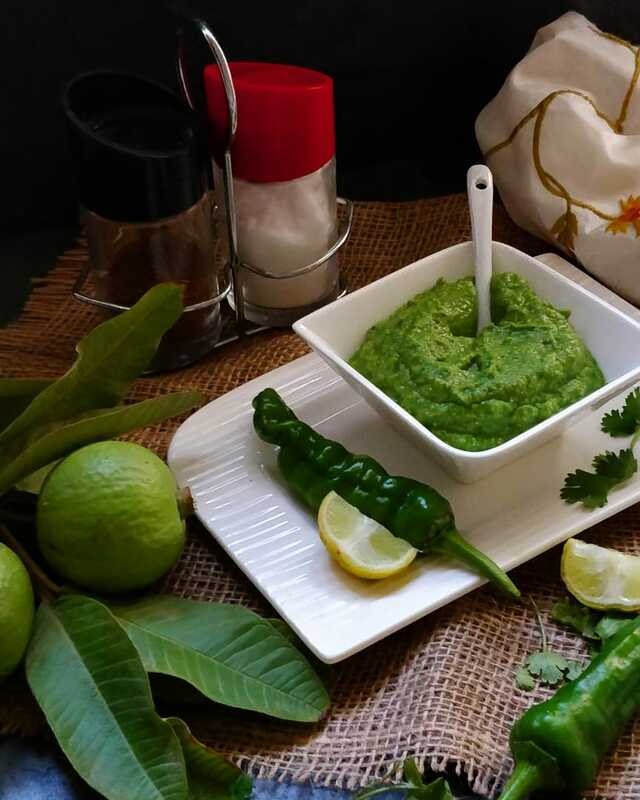 To maintain the green colour of chutney, add almonds and cashew or 1 teaspoon of Bikaneri Bhujiya. Add lemon juice after grinding the chutney. This will also help to maintain the green colour of the chutney. Do not add the seeds of guava to the chutney. Wash and cut guava. Remove the seeds and cut into small pieces. Take a grinder jar, add chopped guava, coriander leaves, chopped ginger, green chilli, cumin powder, salt, black salt, heeng, cashew and almonds. Grind it to make smooth chutney. Transfer the chutney to a bowl and add lemon juice. Mix well. Yummy 'Amrood Ki Chutney | Guava Chutney' is ready to be served.